There are 8 biomes existing on this planet and humpback whales live in the marine biome, which supports the life of many different species of fish and marine mammals. The term biomes is used to describe the different areas on earth with similar animals, plants, and climate. The marine Biome covers three fourths of the earth, the largest of all the biomes. 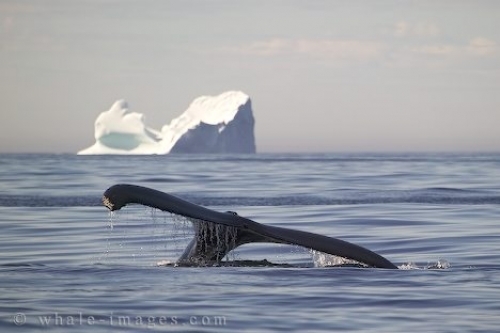 Picture of an Iceberg and a diving Humpback Whale off the Newfoundland Coast.